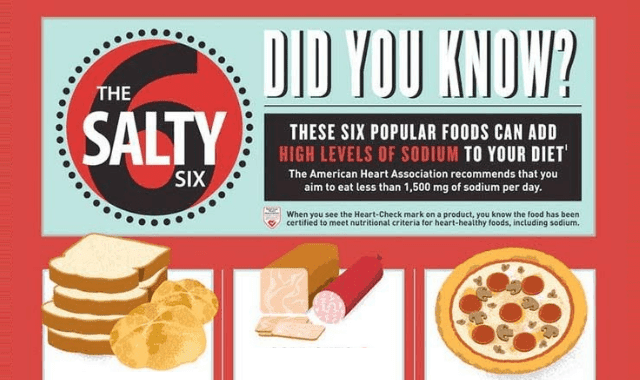 The Effects Of Excessive Sodium On Your Health And Appearance #Infographic ~ Visualistan '+g+"
Modern diet of the majority of people contains high amounts of sodium. It accumulates inside the body and causes trouble for the functioning of your kidneys. Additionally, salt makes your cells hold on to water and can increase the amount of blood in the bloodstream. As a result, this increased bloodstream volume can cause cardiovascular problems, including stroke, heart attack and high blood pressure. Take a look at the infographic featured below to learn more about the dangers of consuming too much salt. What do you think about it?